Some of you have probably heard that the Kenyan Supreme Court issued their decision regarding the election results. They declared the election null and void due to “irregularities”, so the country of Kenya will re-do the elections within 60 days. This was a stunning decision to say the least! Now Kenya enters into another 60 days of uncertainty. Pray for peace in Kenya as tensions are likely to rise again. The nursing strike continues with no end in sight. The government just declared their strike illegal, but the Nurses’ Union has declared that they won’t back down. Our nephew, Landon is here for a visit. We were able to attend one of our Sports Friends leader’s churches this morning. 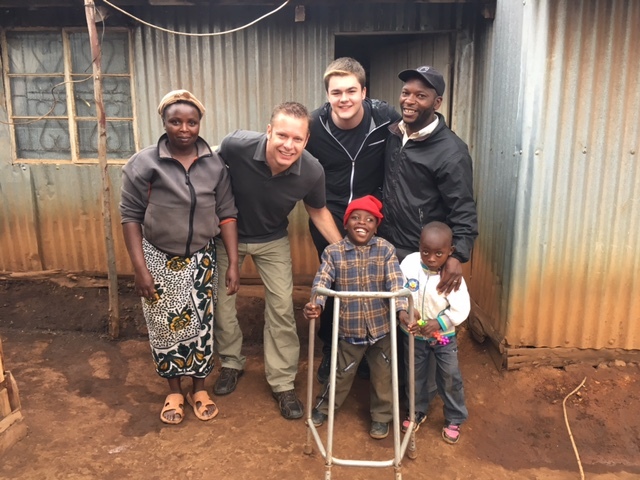 This afternoon we visited the home of a man that Allyson works with at Kijabe Hospital. The family was a huge encouragement to us and they were so joyful in the midst of some difficult circumstances. Very humbling. The love of Christ was SO evident in their home! Their “shosho” (grandmother) was also there with us and she was 116 years old! We were incredibly blessed by our afternoon with them.